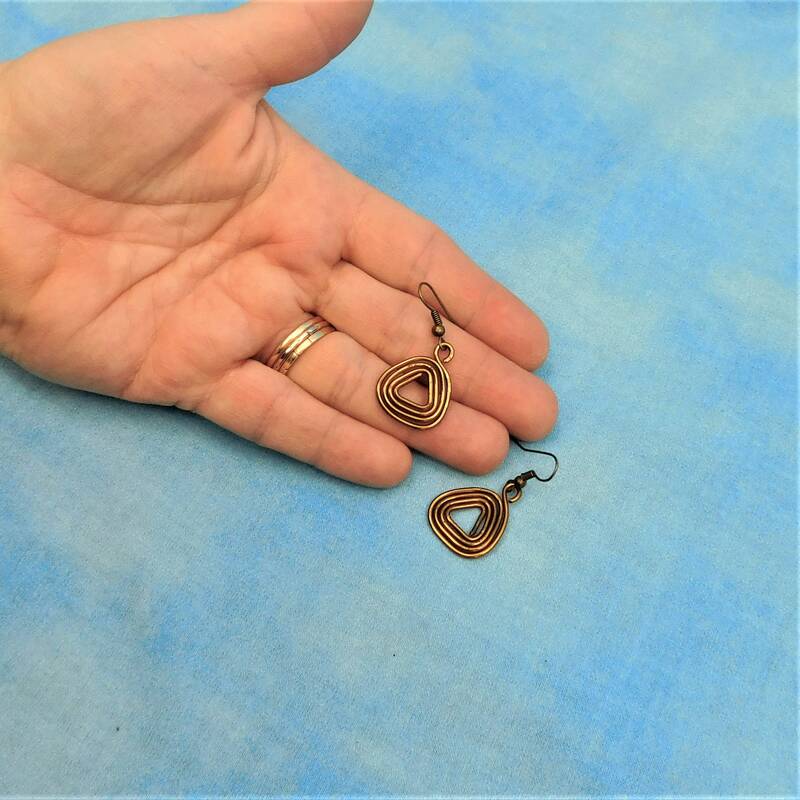 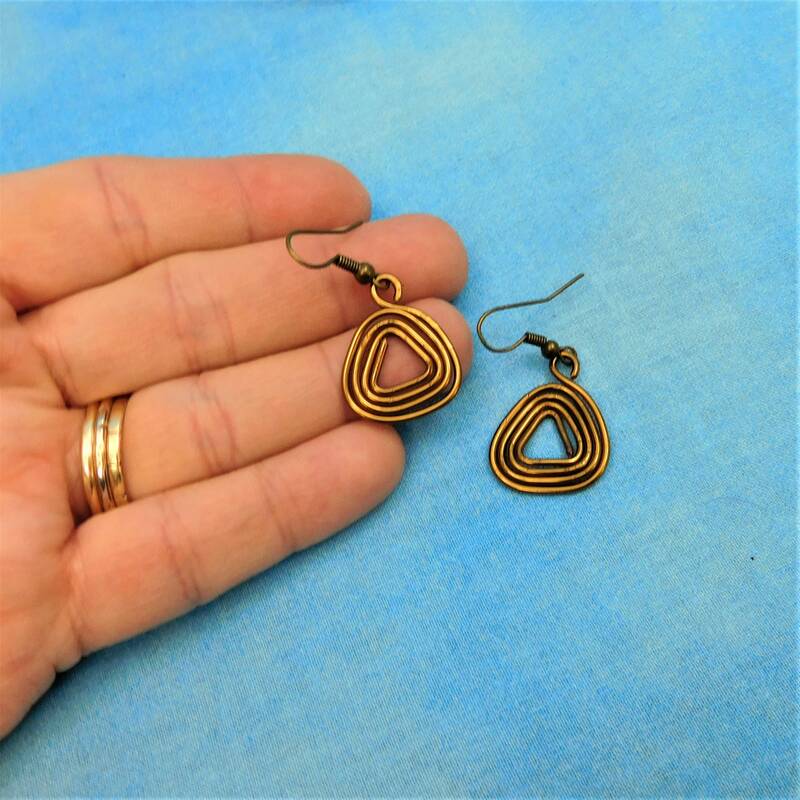 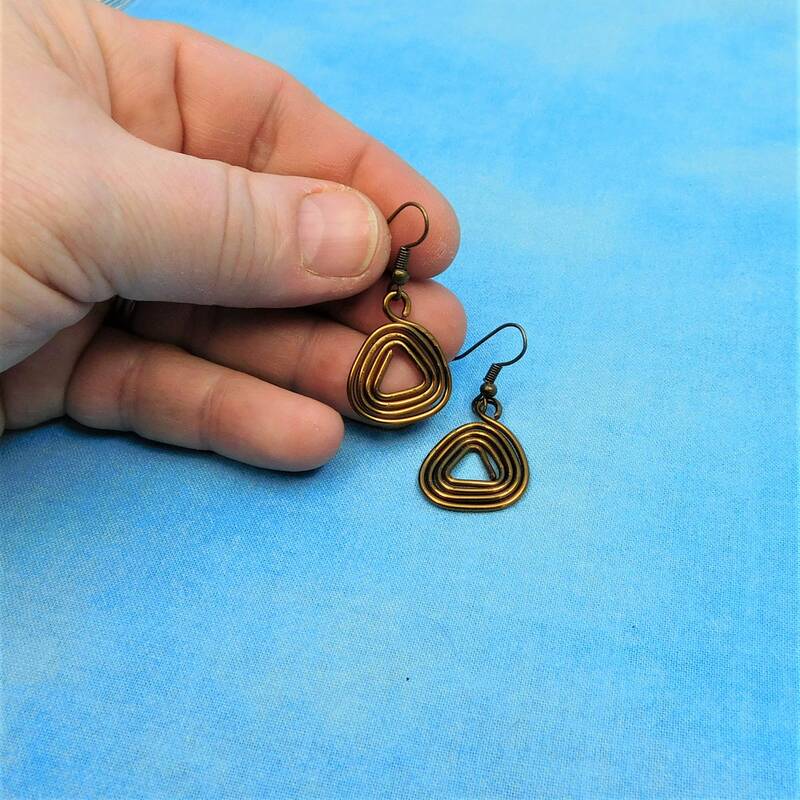 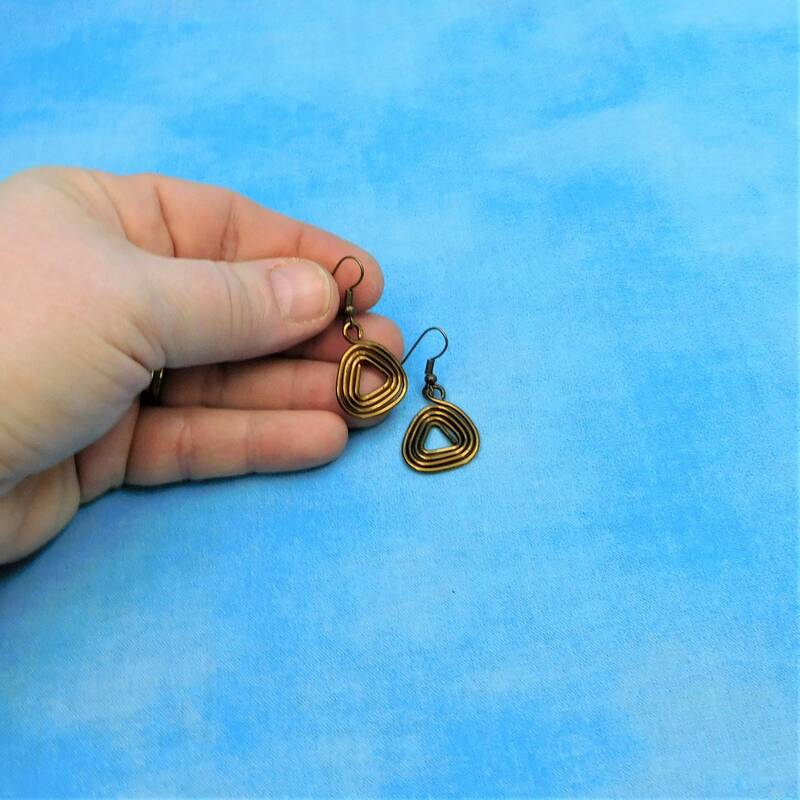 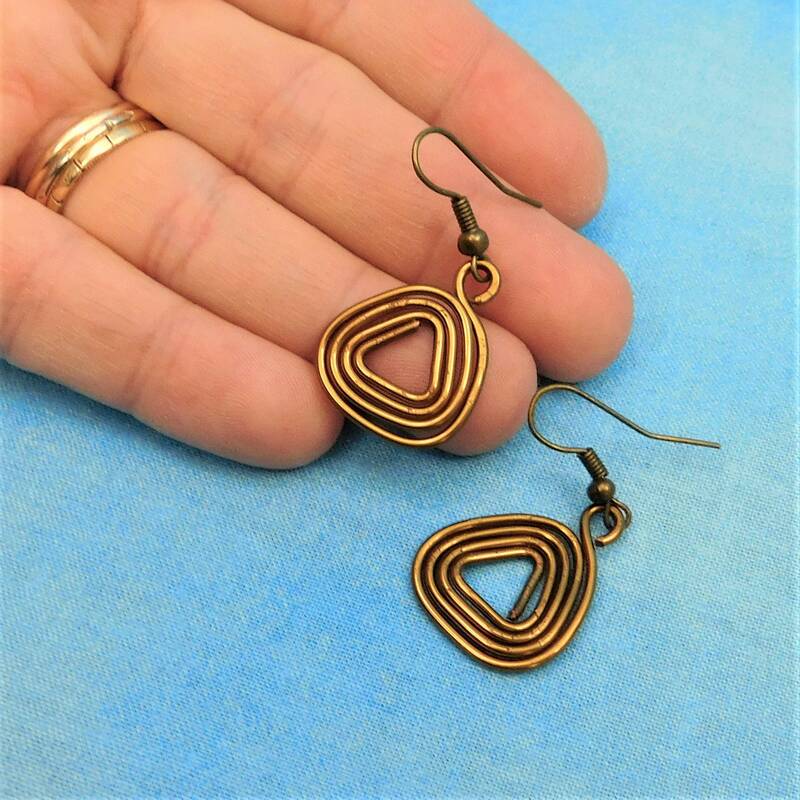 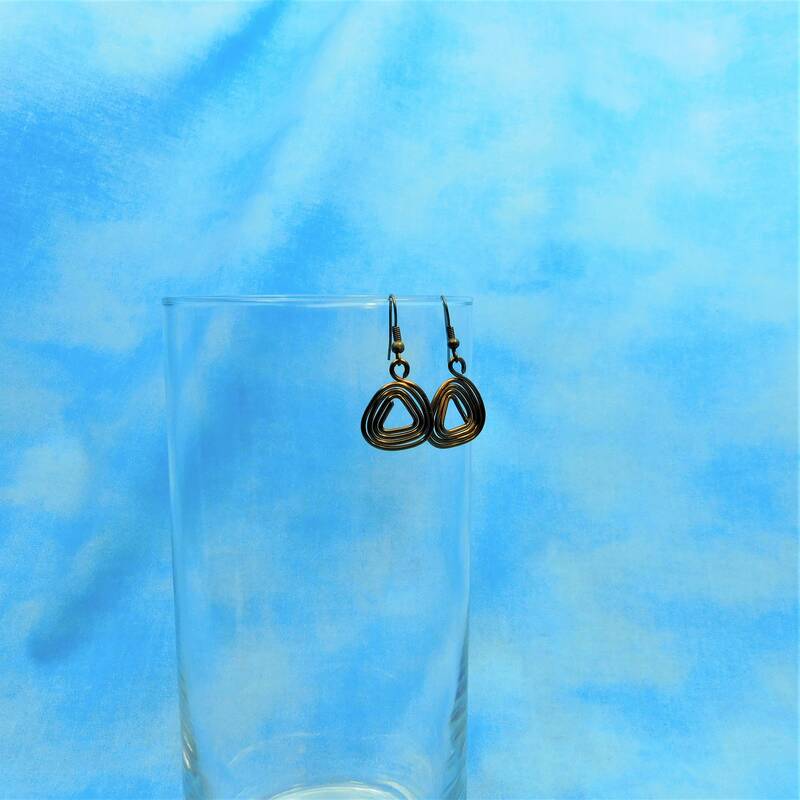 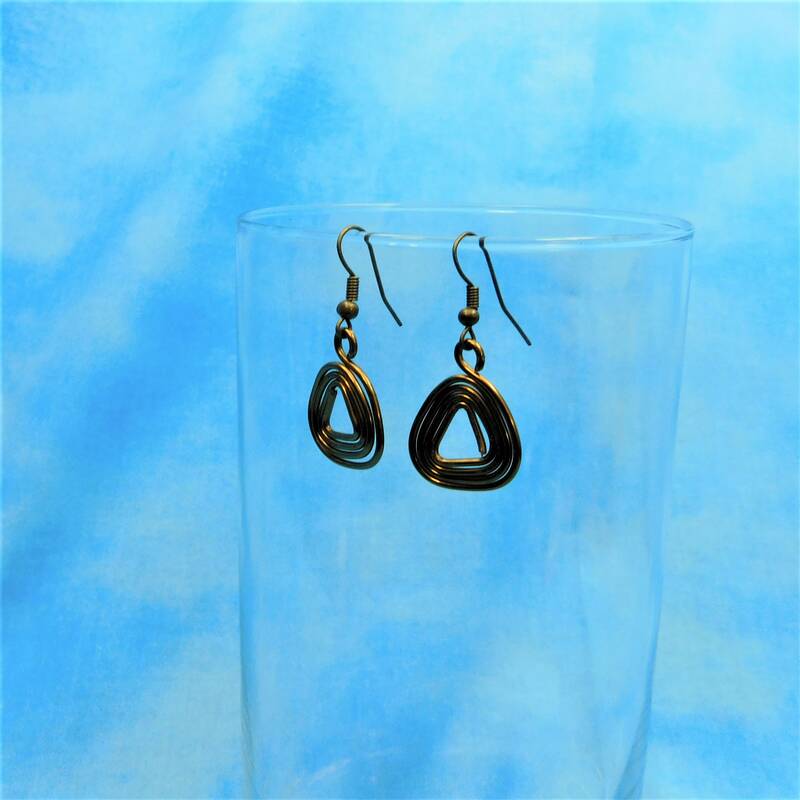 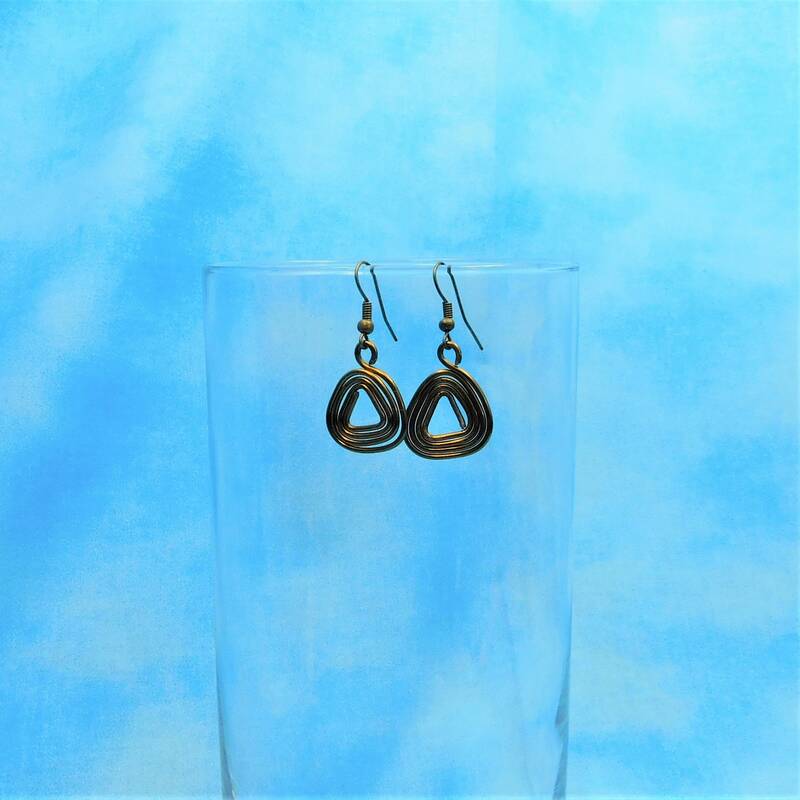 These triangle shaped earrings are 1 inch from top to bottom and are made with vintage bronze colored copper wire. 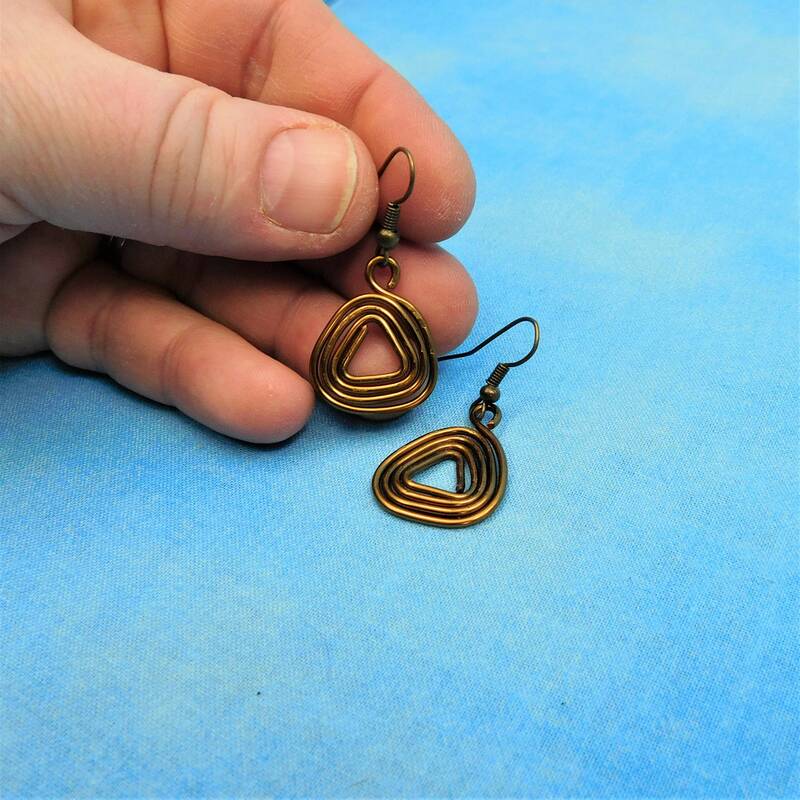 The earrings are handmade using only pliers, and have a unique quality that shows the time and care that went into creating them. 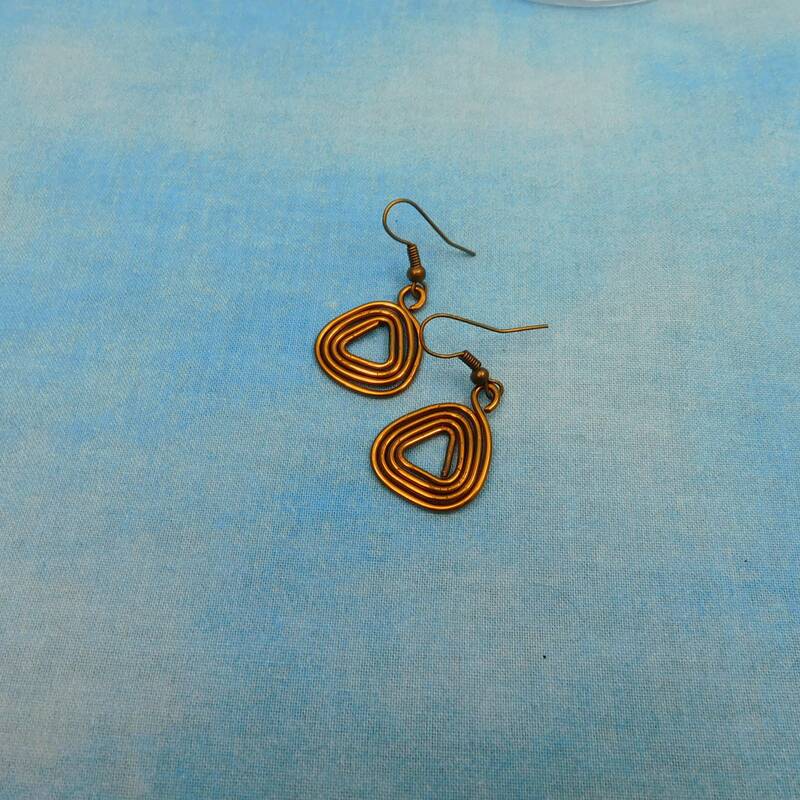 They are a style that is classic, that you won't see every day.